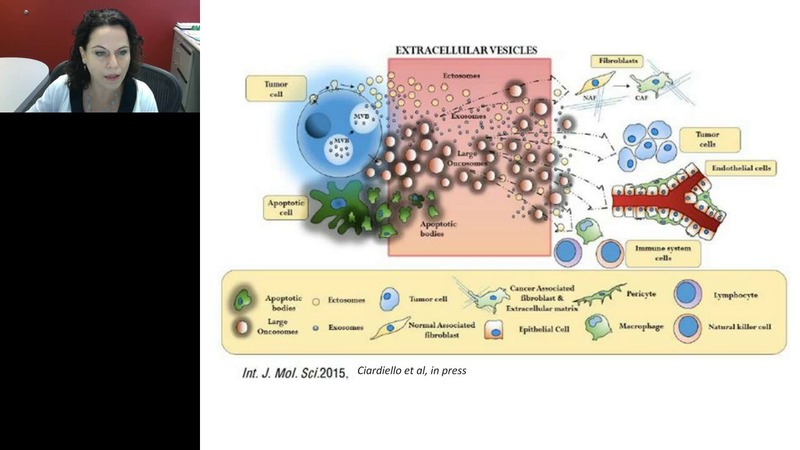 This webinar from Dr. Dolores Di Vizio covers extracellular vesicle heterogeneity, large oncosomes and potentials for biomarker development. 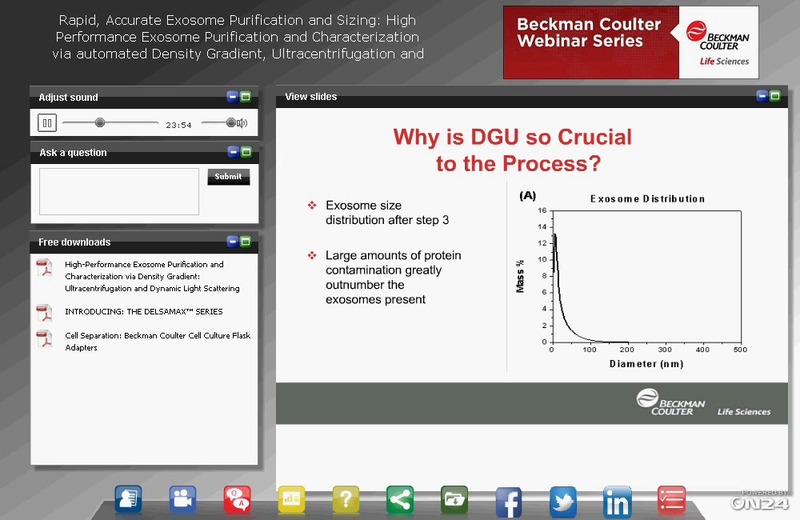 Rapid, accurate exosome purification and sizing with density gradient, ultracentrifugation and dynamic light scattering by Joshua T. Robinson. Drs. 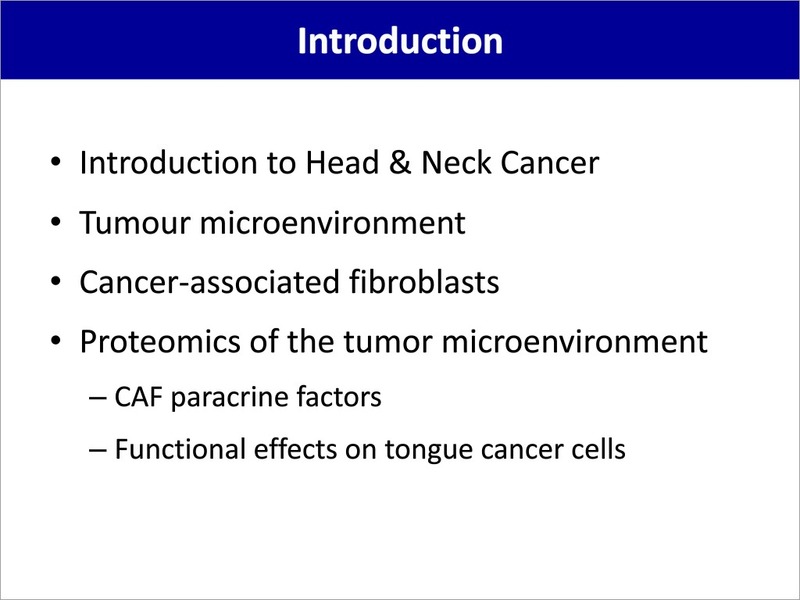 David Lyden and Dr. Thomas Kislinger cover the topic of exosomes and the tumor microenvironment. 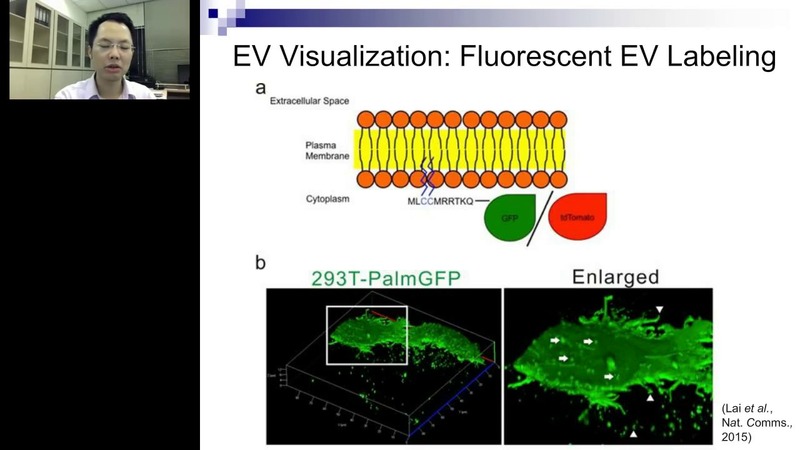 This webinar by Charles Lai, PhD covers visualization and tracking for extracellular delivery and RNA translation using multiplexed reporters. 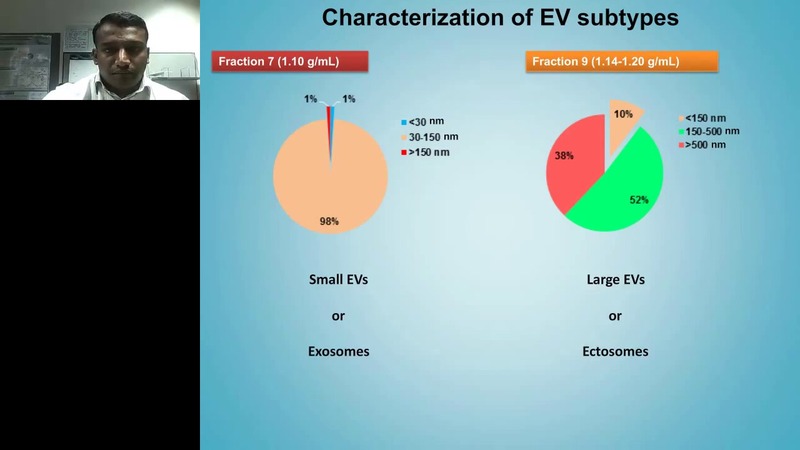 Presentation from Suresh Mathivanan at La Trobe University covers practical insights and experience relating to exosome and ectosome isolation & characterization.